Pittsburgh is comprised of 90 unique neighborhoods that contribute to a city worth celebrating. 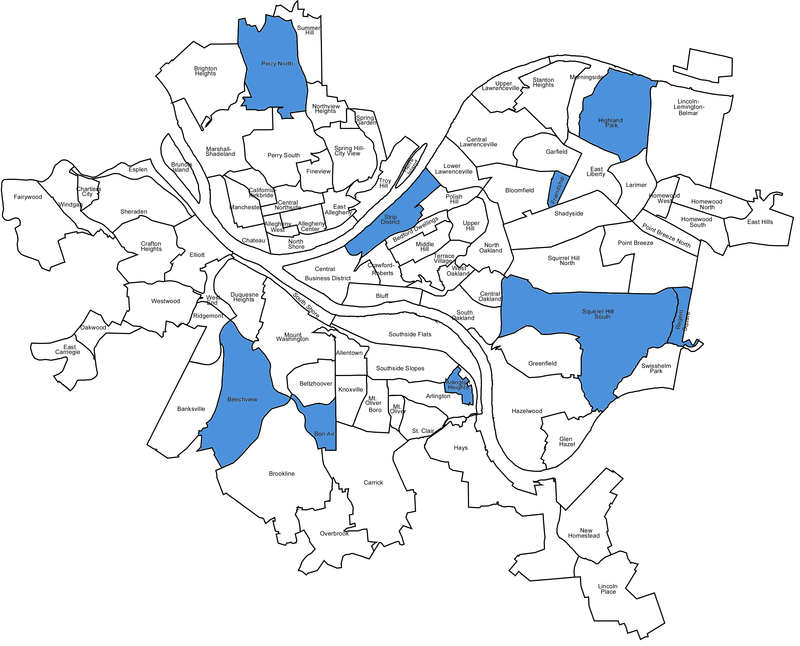 We believe that the quality of our lives improves as we come to know Pittsburgh more intimately and, so, we explore each of these neighborhoods to become better connected to our community. We blog about our experiences publicly to encourage dialogue and to showcase our city’s unmatched character. We’ve visited each of the blue-shaded neighborhoods. 9 down. 81 to go. Click on the links below the map to read about our neighborhood experiences!